Preparations are well underway to refine the Samoa 2019 Pacific Games Sports Schedule. 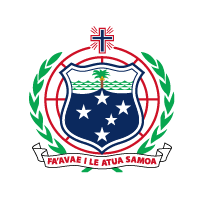 (PRESS RELEASE); Today the Pacific Games Office confirmed that the Methodist Church of Samoa’s Faleula compound will be used to accommodate athletes and team officials for the XVI Pacific Games. This week, the Pacific Games Office and the Samoa National Health Service (NHS) moved forward with their work for Medical Services for the 2019 Pacific Games. The Games Organising Committee have achieved a significant milestone today, releasing the first version of the Sports Competition Program. 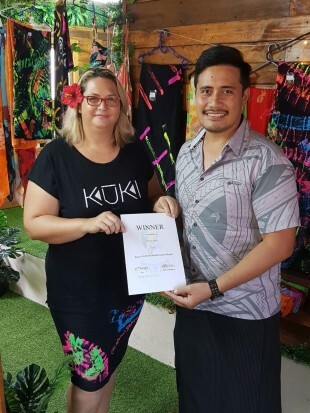 "One in Spirit" has been selected as the slogan for the upcoming Samoa 2019 Pacific Games - a feat that surprised its creator, Maria Leota. With just over a year until the XVI Pacific Games, time is of the essence. This is certainly being reflected in the approach being taken by Games Committee. 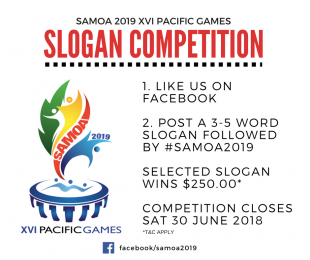 “Samoa welcomes the Pacific Games” is the name of the winning logo design for the Samoa 2019 Pacific Games.